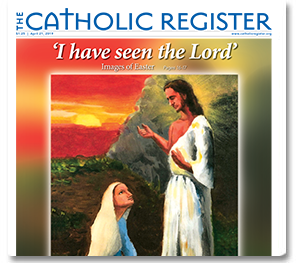 The Catholic Register strives to provide information that is accurate, complete and current; however we do not provide any warranty, express or implied, regarding the accuracy or completeness of any information provided directly or indirectly as part of CatholicRegister.org, the Digital Newspaper Edition (the e-Edition) or Online Historical Archive (the Archive). The Catholic Register and its subsidiaries and affiliates shall not be liable in any manner or to any extent for any direct, indirect, special, incidental or consequential damages, losses or expenses arising out of the use of CatholicRegister.org, the e-Edition or the Archive. Online purchases made through CatholicRegister.org, the e-Edition or the Archive are subject to our Returns and Refunds Policy. The complete confidentiality and security of information posted on or transported over the Internet cannot be guaranteed. Internet communication and information can be intercepted, lost and altered. You acknowledge and agree that The Catholic Register and its affiliates shall not be responsible for any damages you may suffer as a result of the transmission of confidential or sensitive information over the Internet, and that all such communications will be at your own risk. CatholicRegister.org, the e-Edition and the Archive are provided on an "as is" and "as available" basis. The Catholic Register makes no representations or warranties of any kind, express or implied, as to the operation of CatholicRegister.org or the e-Edition or the Archive, nor for the information, content, materials that are included. You expressly agree that your use of the CatholicRegister.org, the e-Edition and the Archive are at your sole risk. 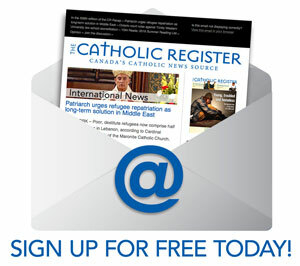 The Catholic Register does not warrant that its servers, third-party servers or e-mail associated with CatholicRegister.org, the e-Edition or the Archive are free of viruses or other harmful components. The Catholic Register will not be liable for any damages of any kind arising from the use of CatholicRegister.org, the e-Edition or the Archive, including, but not limited to, direct, indirect, incidental, punitive, and consequential damages. Third-party websites can often be accessed via hypertext link or other means from CatholicRegister.org, the e-Edition and the Archive. We do not warrant the accuracy or completeness of the information contained in such sites, nor do we warrant the security of such sites, nor do we endorse in any manner third party products or services unless otherwise explicitly stated. 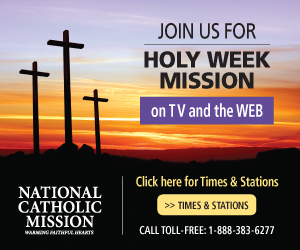 All text, photographs, illustrations, audio and video (the "Content") published or otherwise accessible through CatholicRegister.org, the e-Edition and the Archive are protected by copyright, and are owned or controlled by The Catholic Register or the party credited as the provider of the content. 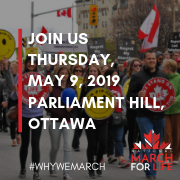 In addition, CatholicRegister.org, the e-Edition and the Archive are protected by copyright as a collective work and/or compilation, pursuant to Canadian copyright laws, international conventions and other copyright laws. 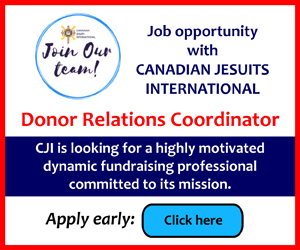 Unless otherwise specified, any reproduction, downloading, modification, rebranding, redistribution, publication, transmission, transfer, sale, distribution, performance, display or exploitation of any content on CatholicRegister.org, the e-Edition or the Archive, whether in whole or in part, constitutes a violation of federal or common law and is prohibited. Certain names, words, titles, phrases, logos, designs, graphics, icons and trademarks displayed on CatholicRegister.organd/or the e-Edition and/or the Archive may constitute registered or unregistered trademarks of The Catholic Register or its affiliates. Unless otherwise specified, downloading, retransmission or other copying or modification of any trademarks constitutes a violation of federal or common law and is prohibited. If you have given permission to make your email address available to third-party organizations, we may from time to time market to you, directly or indirectly or through our related companies, additional products and services. In connection with the offering of these products and services, you authorize us to disclose any information in your profile to our agents, dealers or related companies.